Based at the magnificent Hampton Court Palace the Royal School of Needlework offers a thriving education programme for every level. Royal School of Needlework classes and courses are renowned for the level of teaching expertise, covering a full range of embroidery techniques. Tuition is delivered in small, friendly classes with expert tutors bringing a wealth of experience, technical knowledge and enthusiasm to each student. 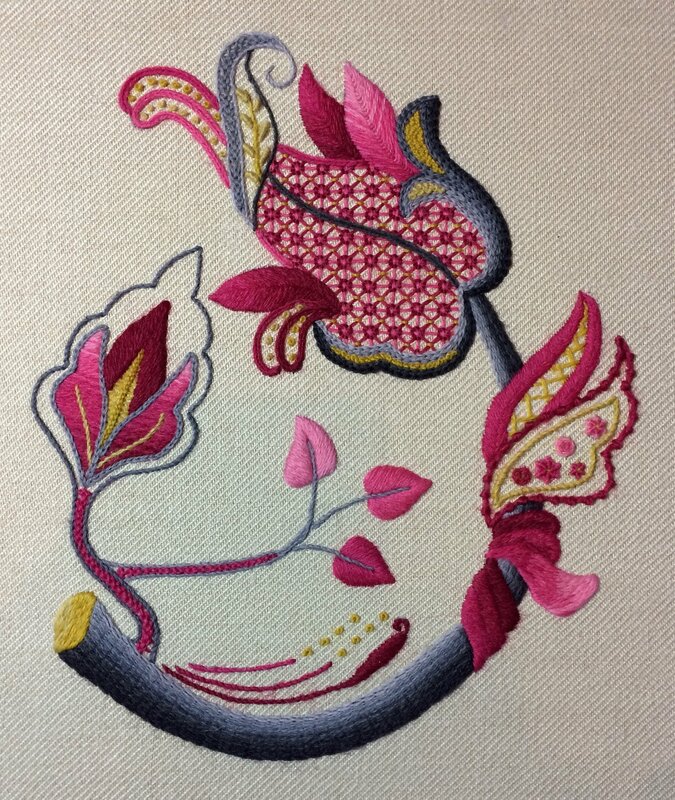 This class is aimed people with a good understanding of basic embroidery stitches but is a good introduction to Goldwork. Inspired by the Art Deco period, with this glamorous brooch you will learn a series of goldwork techniques such as felt padding, Pearl purl outlines and chipwork and how to stitch down passing. You will also learn how to make the brooch up. 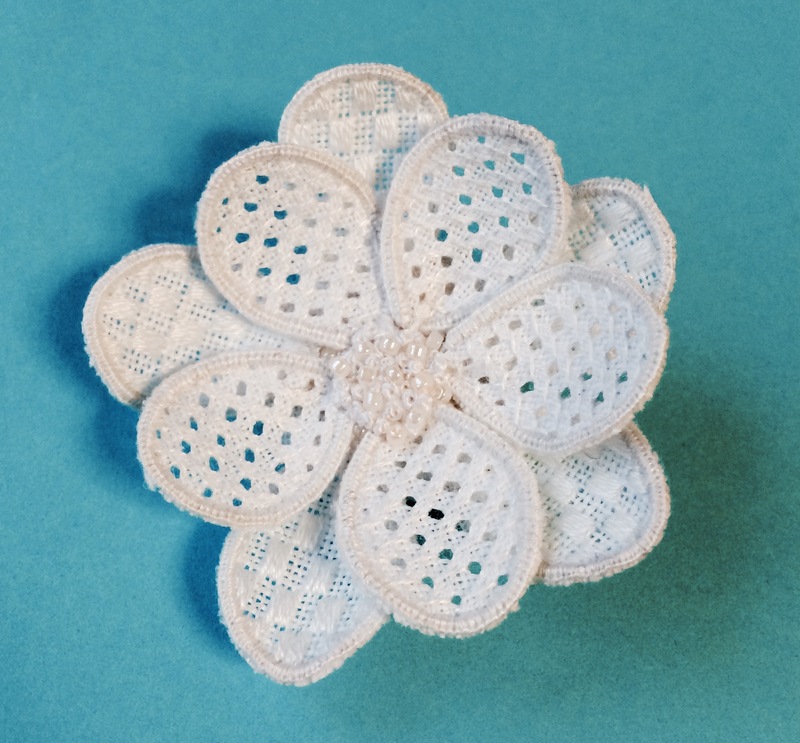 Inspired by the Balenciaga Exhibition that recently showed at the V&A Museum, this Stumpwork brooch kit enables you to create a flower brooch using Whitework techniques, Stumpwork methods and beading. Two separate layers of petals are worked in Pulled work and the other in Satin stitch block honeycomb filling. 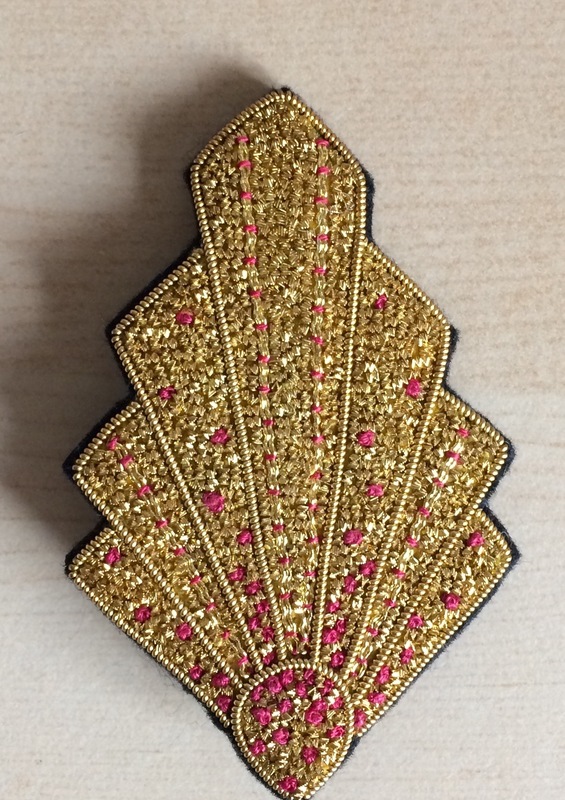 With a French knot and beaded centre.